I got a chance to play some multiplayer on Halo Combat Evolved Anniversary at Halo Fest, I also saw some single player fragments, here are my impressions of the game. The multiplayer feels great, they're using the Halo reach engine to power it but they are using the original maps from the first Halo. This allows for the use of load outs those special abilities that allow you to run faster, go invisible, and cover yourself in a shield that were first introduced in Halo Reach. The maps are looking great in HD, if you played the original 10 years ago your muscle memory is going to pick up right where it left off. There are some new additions to many of the maps that allow for some more flanking and strategy, and for the support of jet packs which weren't around when those maps were originally designed. Naturally Halo multiplayer wouldn't be quite the same without the magnum and don't worry it's making a big come back. It is a very tricky thing revisiting old multiplayer maps, it can be like having all the roads change on your drive home, but in this case the improvements are welcome and the HD reboot is almost distractingly pretty. The maps that are returning are timberland, prisoner, installation 4, damnation, and beaver creek. But the oddest surprise at Halo fest had to have been the Halo 4 Warthog appearing in Forza Motor Sport 4 this year. You don't get to drive the Warthog but you do get to check under the hood using Forza's auto vista experience which lets you explore the high end and rare cars in the real world. 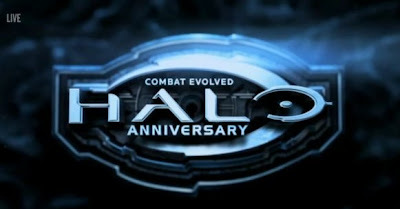 That sums up my impressions of Halo Combat Evolved Anniversary.